Modern-Day Techno-Geek Homemaking Mama with Old-Fashioned, Traditional Values. Wow, I almost can't believe it's been so long since I've posted on the blog. I've been thinking about getting back into blogging and came here to see what I could see. Apparently, some elements of my blog have changed in my absence -- there's now a "missing image" block from Photobucket indicating that I need to pay a $399/year fee in order for them to allow me to use their site as a 3rd party host. Hmmmmm.......yeah, I'll pass on that. But now I gotta figure out just what images are being pre-empted and do I want to use them anyway. Decisions, decisions! (I'm halfway tempted to scrap this blog and start over - but there are some posts that I still refer back to. It looks like my blogging took an abrupt pause in early 2015. That year and the following year were very difficult. My life started changing dramatically mid-October, 2015. First, my good friend at my church and her family moved away out of state. 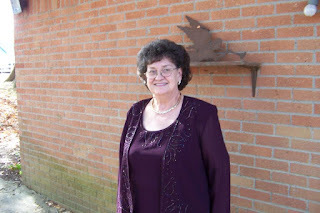 She was our main pianist and her husband was our assistant pastor. Their children and my Gracie played well together and she was my main Mommy friend here in Memphis. 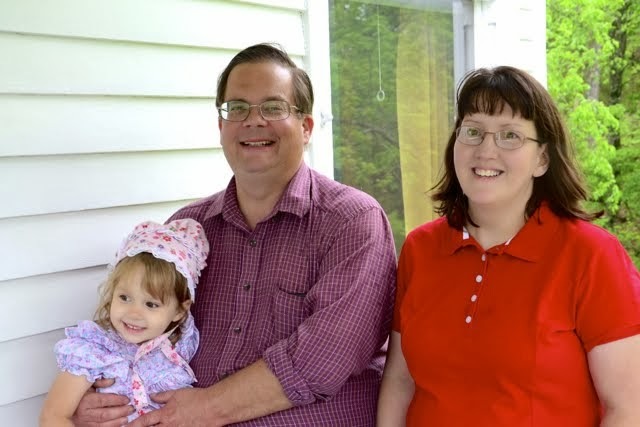 About a week after they moved, our pastor unexpectedly resigned our church. I think it was the very next day after that (or possibly the next week after - time gets muddled in my mind, but it was a very short time), my mother called me, coughing her head off so much that I couldn't understand her. Her pastor who was with her talked to me and said that she was on her way to the ER. Gracie and I left the very morning to go see her and take care of her. To abbreviate the story (which can be read on CaringBridge), a month or so after that, my mom was diagnosed with cancer (squamous cell carcinoma), and we (Gracie and I) spent the five months helping to take care of her, tag-teaming with my brothers, my heroes. It was a long-but-too-short battle that resulted in a bittersweet ending: My mom fought bravely, manifesting a testimony of strength that has been inspiring to me; but the Lord took her home to be with Him. In the middle of that battle, my church began seeking a new pastor and we are blessed to have a man whom I have known for over a decade and who is the perfect pastor for our church. When we came back home in April of 2016, I had to transition back to a new normal for my life. It was a very difficult year. I have never been so glad to see a year end like I was to see December 31, 2016. I had started the 2015-2016 (Kindergarten) school year early in July. It sounded crazy, but I was ready, and Gracie was ready, so I thought, "Why not?" I can see that God led in this decision as well as others because when we went to go take care of my mother, we were ahead. I quickly learned that hospitals and homeschooling do not mix very well -- at least not when there are many interruptions. Over the next 5 months, we did not progress very far in the normal academics, but my daughter learned much about LIFE and SERVING. Towards the end of my mother's illness, I could see a jump in Gracie's reading ability. I remember her being able to read the words on the bucket of Easter candy (motivation, right?) at the nurse's station. She also learned how to read hundreds (100, 200, 300, 400, 500, etc.) by reading one of my mother's medical bags. We were blessed to have been able to be a part of two great churches in the area. Anyway, by the time we got back, I did a double-up and triple-up, and let's-skip-this-and-that (because she was doing quite well on it already) on her schoolwork so that we could finish up Kindergarten. I had her participate in a homeschool kindergarten graduation with one of her friends from American Heritage Girls in early May even though we didn't finish her work until June. I also spent some of that time trying to produce some order in the house (a little hard to do since we brought home a trailer-load of stuff from my mom's house). One of the best things I did was decide to keep things as simple as possible for the next year. I had some added responsibilities as the administratrix of my mother's estate, but, for the most part, I tried to keep things simple. We continued to do American Heritage Girls, violin lessons, and soccer in the fall, but I did not resume swimming lessons until February of this year. (Amazingly, she did not regress at all, but seemed to be better than she did 16 months prior to that!) We enjoyed a wonderful trip to California to visit my brother and his family for my niece's wedding. The only downside was that we started 1st grade in late August instead of in July. I didn't want our school year to be interrupted by our trip, plus I didn't even get all my school materials (backorder) until August. 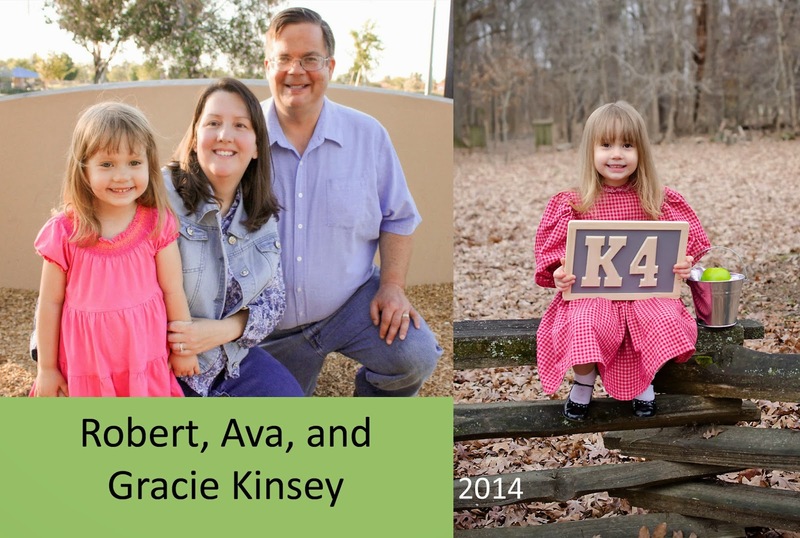 We also enjoyed seeing my husband's side of the family in Atlanta for Kinsey Christmas in March. We enjoyed a full day of activities together (Coke Museum, escape room, Georgia Aquarium). Somehow, I had to really push to finish First Grade by my self-imposed end date of the last Friday of May. I think we were both kind of glad to be done with First Grade. I took the whole month of June off. I intended to use that month to, once again, attempt to produce order in my house. I did as much as I could do, and my husband began a project that I had asked to be done for my Christmas present -- turning the utility room (catch-all room for man junk) into a pantry/storage room. Well, he took off a week from work, and wouldn't you know it? We had a horrific storm come through Memphis and we lost power for three days. That put him terribly behind and between needing to work on the weekends sometimes and just being exhausted, he hasn't yet finished my pantry. I'm at a stand-still with my plans-of-great-order until it is finished. I have hopes that Labor Day will see it completed. There's not that much left to do, but since he has removed the panel to the electrical fusebox and has not allowed me in the room at all, I can't even try to do any of it. Not that I have the time or the ability to do a good job with it. So I will be patient. But it's going to be amazing. Two preview words for you: Happy Color and really cool IKEA hacks. 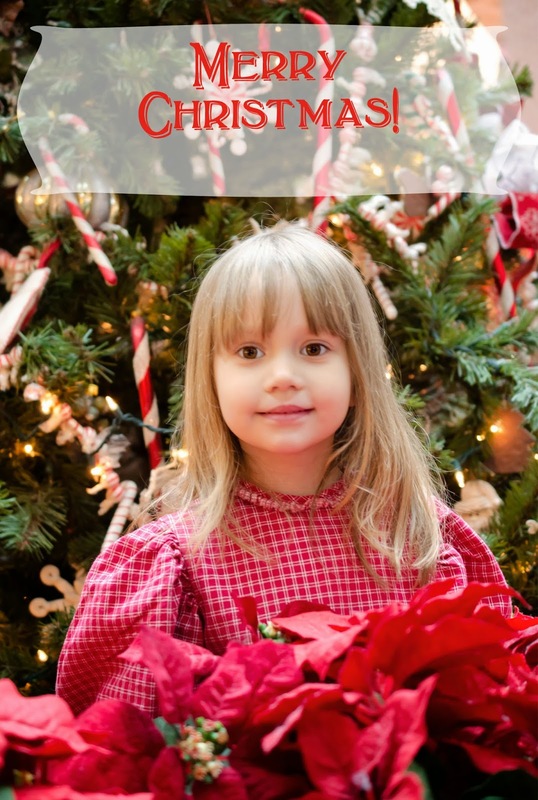 I have made a few small changes to our homeschool plans for Second Grade and we did a "soft start" on July 10th. I will post more about that another time. So, if anyone is still here, comment below to say Hi, to share some homeschooling tips. or mention a few things you would like to see on the blog. Since so much of my life has changed since 2015, should I go ahead and change addresses and start a new blog with a new name and a new location? In the meantime, I do Instagram at @mrskinsey. I think that's also my Twitter handle, but I mostly lurk on there. My personal Facebook feed is already overloaded with people I actually know and I know I don't have time to do anything with the 21st Century Keeper at Home Facebook page, so don't feel compelled to join that. In fact, just typing out that long name is almost impetus enough to rebrand with a (shorter) new name, etc. for the blog. Suggestions welcome. Prizes will include a Thank You and a shoutout. After a long five-month battle with cancer and other health issues, my mom went Home to Heaven on March 31, 2016. My daughter and I had the privilege of spending most of that time with her caring for her needs. Her funeral was on Friday, April 8th, and I spoke about her life. Following is the speech that I gave. Good morning! I am Ava Kinsey, Sylvia's daughter. I want to thank all of you for coming today. I also want to thank you for the love, support, and kindness that you have shown my mother and our family over the last five months. Many of you know Sylvia as your cousin or your friend; some of you know her as your sister or your aunt; I have always known her as my Mama. I'm not sure, but I think Mama may have been my very first word. I have always called my mother Mama and it is the sweetest name I know. This is why I prefer for my little girl to call me Mama. Today I want to share with you a little bit about my mother's life as well as just a few of the things I have learned from her as her daughter. One of my earliest memories is as a very young child, perhaps as an infant, being held with my head in Mama's hands and bounced up and down "wooo!" and seeing her smile at me. All of my life, Mama has displayed a happy, positive, joyful disposition in all circumstances. She truly embodied the Scripture that says "Rejoice evermore." It has only been in the last few months that I have recognized just how important a mother's smiling face is to a child, even a grown child as myself. The last three months in particular were extremely difficult for my mother and it was hard to see her countenance change from a cheerful one to one heavy with pain and sufffering. I also think about one day in particular during the last few months when I saw a text on Mama's phone that tickled my funny bone. It made me laugh really hard. My little girl Gracie immediately perked up and started happily laughing with me. That's when I realized that just like my mother's happy spirit affected me, so did my spirit affect my little girl. My mother was a joyful person. Some of you may be familiar with the acrostic for JOY which serves as a recipe for adding joy to your life. The J in JOY stands for Jesus First. Mama was a wonderful example of putting Jesus First. When we were children, she read Bible stories to us. I was excited the other day when Tony and I were cleaning out Mama's shed in the backyard and I found a big, red book that has a sketch of Jesus on the cover. It was the children's book of Bible stories that Mama used to read to me at bedtime. I look forward to reading it to Gracie. Mama also carried us to church. She didn't just send us to church; she carried us to church. That's Southern for "she brought us to church." Before that, Mama was a church pianist. She began playing the piano in church as the main pianist at the age of ten years of age! She continued playing in church until the last six months of her life. She also served as a church kindergarten teacher, Sunday School teacher, and helped with the Meal Ministry by fixing meals for the shut-ins of the community. She truly was an example of someone who put Jesus first in her life. The O in JOY stands for Others Second. Mama was a caregiver for over 55 years. When she was eleven years old, her baby brother Steve was born into the family. Mama used to say that he was her baby, but I never understood that until a few months ago when I found out that when Uncle Steve was two or three months of age, Grandma gave him to Mama to take care of at night. Later as a teenager, my grandparents worked and Mama had to take care of her brothers during the summer. She cooked, cleaned, and did chores around the house, garden, and animals. Whenever Uncle Ben and Uncle Steve didn't do what they were supposed to, she was the one who got in trouble. Later she had the boys and me and took care of us. We were always well taken care of with good food to eat and nice clothes to wear. She also imparted unto a love for reading and learning and ensured that we received a good education. After we were grown and had good jobs, she took care of Daddy when he had dementia. She also took care of a lady for several years and then she took care of Grandma until she died. Finally, she took care of Grandpa. She was an excellent caregiver for over 55 years. The Y in JOY stands for Yourself Last. Mama took care of others first and herself last. She rarely asked for anything and it was hard to buy Christmas and birthday gifts for her. However, she had no trouble standing up for her children. Mama was a wonderful example for the verse "In honor, preferring one another." Very little of the whole experience could be called easy. However, Mama never complained about her situation, but focused on the hope of getting better. From her, I learned how to be strong and do the hard thing. Standing up here and speaking is not my thing. I can teach children, but standing up here like this is not easy for me. Although it was hard seeing my mother go through what she did and taking care of her, it was not a burden, but it was a privilege. One final thing that my mother taught me that has had a profound effect on my life is that she taught me about Heaven. When I was six years old, we went to the family cemetery -- the same place where we will go after we leave the funeral home today -- so that my mother could clean some of the graves. I remember running around, climbing on the perimeters of the graves and jumping off as six-year-olds will do and seeing all of the graves and asking, "Who's this?' and "Who's that?" When I pointed to a particular grave, I was surprised to learn that it was of my twin sister. It was never kept from me that I had a twin sister, but that was the day I remember learning about her. My mother then told me that my sister is in Heaven with Jesus and we will see her again someday. We know that babies and small children go to Heaven because of what it says in the Bible. King David lost a baby boy and he said (paraphrased), "He can't come back to me, but I shall go to him." She gave me a very real, secure belief in that place called Heaven where those of us who are saved will go to spend eternity. When Mama was in the ICU, Uncle Ben read Psalm 23 to her and she requested that he also read Psalm 100. I learned that Psalm 100 is her favorite psalm. My little girl memorized Psalm 100 as part of her Kindergarten Bible class. I asked her if she would recite it here at the funeral and she said, "Mommy, you can say it all by yourself." As I recite Psalm 100, keep in mind that if I sound like a Kindergarten teacher, it's because I am. I teach my little girl who is in Kindergarten. More importantly than that, listen to the words of Psalm 100 and see my mother's life. I was invited by Handlebar Marketing to review this book. I received the book for free in exchange for my honest review. The Royal Family are excited to be expecting a third child. 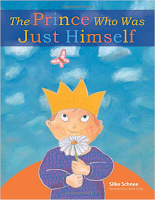 Upon the new little prince's birth, they notice that he is a little different from other children, but they love him just the same. His older brothers are kind to him and he is a happy little fellow. Amazon writes, "When the youngest prince disarms the cruel knight Scarface, the nation’s most dreaded enemy, with an act of compassion, everyone finally realizes how good it is that each person is unique." My daughter and I enjoyed reading this book. The illustrations are cute and have enough details for my daughter to be interested in viewing the pictures. The story prompted some great dialogue about how people who are different from us have good qualities and how we should be kind to others no matter if they are different. My daughter enjoyed the book, but in some ways, it may have been a little young for her (she's 5-1/2). I really don't think she will be asking me to read it to her again. I will suggest it to her in a couple of weeks to see what her response is. Click here to read the 15 Goals in 2015 introductory post. We just got back from going out of town to visit with my husband's family. We had a nice time, and Gracie loved playing with her cousins. Since we were out of town for several days, I did not get very much accomplished. That's ok, because I know that I need to be somewhat flexible and it is, after all, only the beginning of the year. 3. To declutter and organize the house, garage, and shed. I have completed the first three days of this challenge. Granted, I already had them set up, but I'm still going to count it. I've also read the Facebook Group posts and have gleaned ideas from the many comments. 5. To improve my photography taking and editing skills. So far, I'm doing well with taking and posting a photo a day. I posted iPhone photos, but did take photos with my "big camera" but am not able to post them while out of town. 7. To read 15 mentally-stimulating books (i.e. not fiction) (and blog about them). I reviewed my Goodreads "want to read" bookshelf and also stalked my friend Valerie's bookshelves on Goodreads to get ideas for more books to add to my list. One of my goals is to lose 15 pounds, but I really need to lose more than that. I just wanted to name it 15 because of the year. I weighed myself on the morning of January 1st and recorded it in my app called Happy Scale. I have not weighed myself since I was out of town, but I will weigh tomorrow morning when I get up. I definitely did not adhere to my "No sugar, starch or soda" rule, because I knew it would be nigh impossible. In face, I rather enjoyed eating whatever I wanted. Thursday night, we had shredded BBQ beef, black-eyed peas, Amish macaroni and cheese, potato salad, and 7-layer salad. Friday morning, we had carb overload for breakfast (cinnamon rolls, donuts) and snacked in the middle of the day (including a delicious pineapple-cream cheese cheeseball with Ritz crackers). For supper, we ate at a restaurant called D'arcy's Pint which is supposed to be like an Irish pub. I had an Irish boxty for the first time which was absolutely delicious. I also had a ponyshoe which is Texas Toast covered with meat and french fries and cheese sauce. The boxty was the best, hands-down. This morning, we didn't have breakfast. I thought we were supposed to have a breakfast casserole either yesterday or today, but that did not materialize. We did have delicious lasagna, 7-layer-salad, black-eyed peas, and garlic bread for lunch. We were on the road after that and stopped at Lambert's for supper. I had catfish, green beans, peaches, fried okra, fried potatoes and onions, black-eyed peas, and, of course, a roll. The main reason why I love that place is for the fried potatoes and onions, but all of their food is good country cooking. I hope to talk about more accomplishments next week! Thanks for reading! A friend of mine (Susan of ByGrace) posted recently about 15 goals to complete before 2015. I liked the idea, but I knew it would be impossible for me to complete what with all the Christmas prep, illnesses, and everything else going on. However, I then thought that it would be fun to come up with 15 goals to complete next year. 1. To read the Bible consistently and all the way through. 2. To participate in a personal Bible study. 4. To increase opportunities to grow my photo business. b. Shoot in manual mode more often. d. Study photography tutorials on Pinterest. 6. To complete 15 crafts or projects (and blog about them). 1. Two to three photo books. 8. To begin reading all of the Caldecott Medal books in order. Next year, we may read the honor books, and when Gracie is older, we will read all of the Newberry Medal books. 9. To lose 15 pounds. 10. To provide 15 social interactions with Gracie's and my friends. 11. To increase opportunities to serve others. a. Help Mama declutter and with large projects. 12. To complete K4 and begin K5 (Abeka Homeschool). 13. To increase opportunities for Gracie's extra-curricular activities. 14. To prepare for unexpected events. 15. To begin writing a book. I have no idea how many of these goals I will successfully complete, but I think that it will make 2015 a fun, productive year! I will try to give weekly updates on Saturday nights. Will you be attempting any goals this year? Every year, I take Gracie's photo behind the Santa display at the Mall, and, usually, I use it in our Christmas Card. Gracie will be 5 in January. The family photo was taken by my niece Kaylee when we visited California for her high school graduation. She is studying photography and has her own Facebook page. My baby girl is now in K-4. I have been homeschooling her this year using the Abeka curriculum. We enjoy it very much! I had been wanting to take photos at the Davies Plantation which is located 10-15 minutes away. I finally took the opportunity just days before they closed for the winter. I look forward to going back in the spring to take more photos! 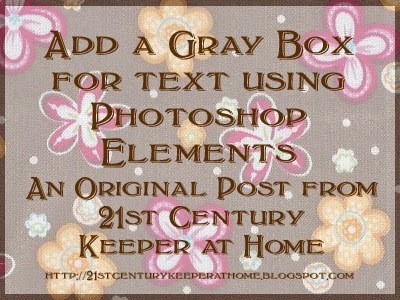 Here is a tutorial for adding a gray box for text in your graphic using Photoshop Elements. I have Photoshop Elements 10, but the same procedure can most likely be used for other versions as well. Please excuse the weird echo in the audio. I didn't know how to fix it and didn't want to do it over. One thing I neglected to mention is about the layers. There are three layers in this file. From bottom to top, they are: the photo, the box, and the text. Whatever is on top is what will show up on top of the others. You can easily move the layers by clicking and dragging into their new spots if necessary. I hope you find the tutorial useful. This is my first screenshot tutorial. I've watched many others and thought it would be fun to make my own. If you have any ideas for future tutorials, let me know! 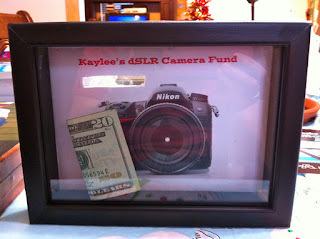 Thank you to all the pinners on Pinterest who have pinned my shadow box! Unfortunately, most of the links do not go to the actual blog post, so I have put this picture on every page so that you can easily find it. Click on the picture to go to the blog post. c. 2011-2013 Ava Kinsey. Powered by Blogger.